The inspiration for this new blog Sunflowers and Thorns is multi-faceted. First of all, as someone who grew up in Kansas, I’ve always loved sunflowers. They were the primary flower in my wedding along with red roses. Weird combination, right? Not really. They’re both beautiful flowers that, to me, represent beauty, grace and steadfastness through harsh times. It’s that last part that leads me to the second piece of this blog’s inspiration. 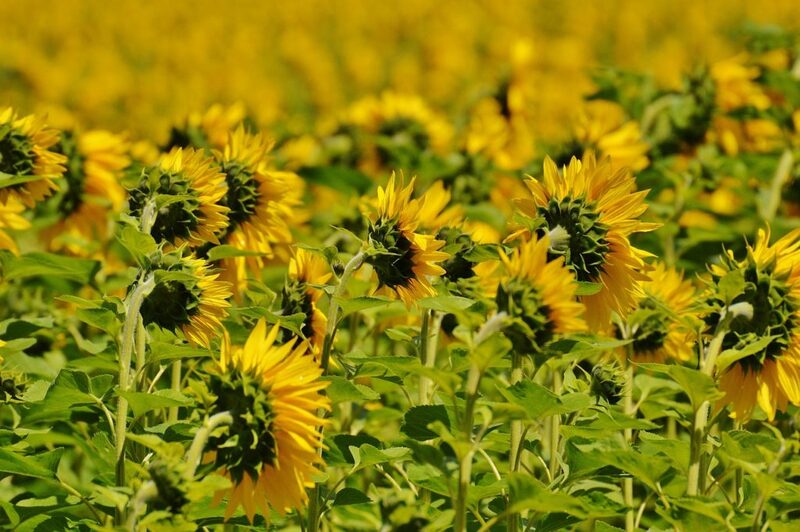 Let me ask you this: Have you ever seen a field of sunflowers? I love how they all turn in unison to follow the path of the sun. We as humans must do the same or we will wither and die. I don’t mean literally looking directly at sunlight, although some good old-fashioned Vitamin D is a good thing. I’m speaking metaphorically in two ways; how we must focus on God, and also how we must choose to seek the simple joys through hard times. That’s the idea behind this blog: that we must look to the sun through life’s thorns. I’m not one to tell people how to think, feel, or live. All I can do is share my stories and hope they find inspiration in my words. Whether it’s a fun recipe, a local adventure, discussing faith issues, or sharing about life with a chronic illness, this is my place to share my stories of how I choose to look to the light through life’s thorns.